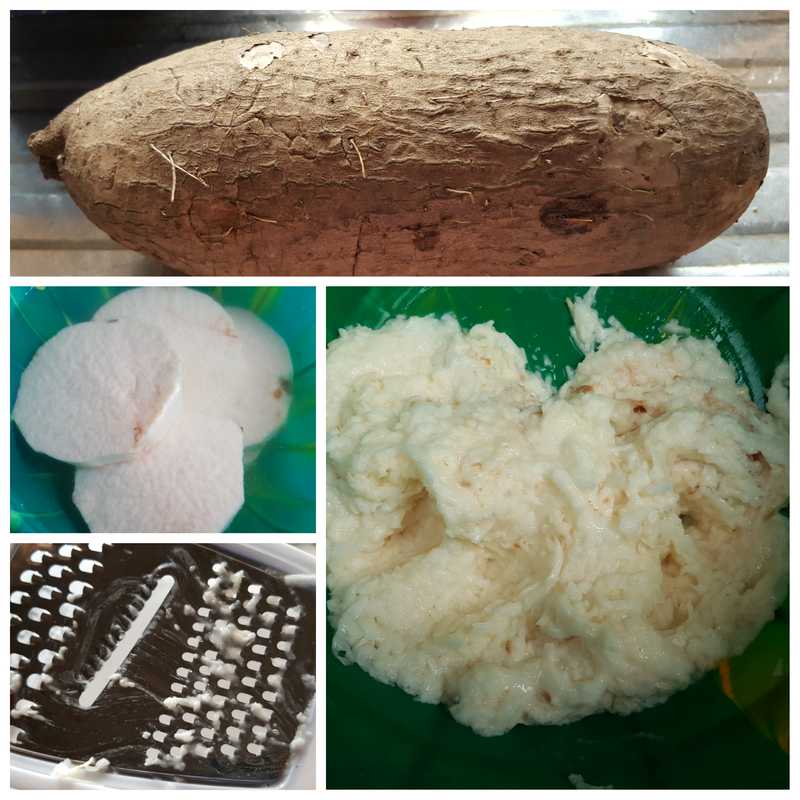 I made Ebiripo today and I shared pictures on my Facebook wall, I had even written that I was channeling my imaginary Ijebu side, little did I know I did indeed have Ijebu Remo roots, royal roots as a matter of fact, LOL! My dad saw my post and sent me this message on WhatsApp. “Baskets of Ebiripo wrapped in banana leaves. You brought back my childhood memory”. “That food is native to Remo people of Ogun State. Not very popular amongst the Yorubas”. And that is how I found out I have an Ijebu side! 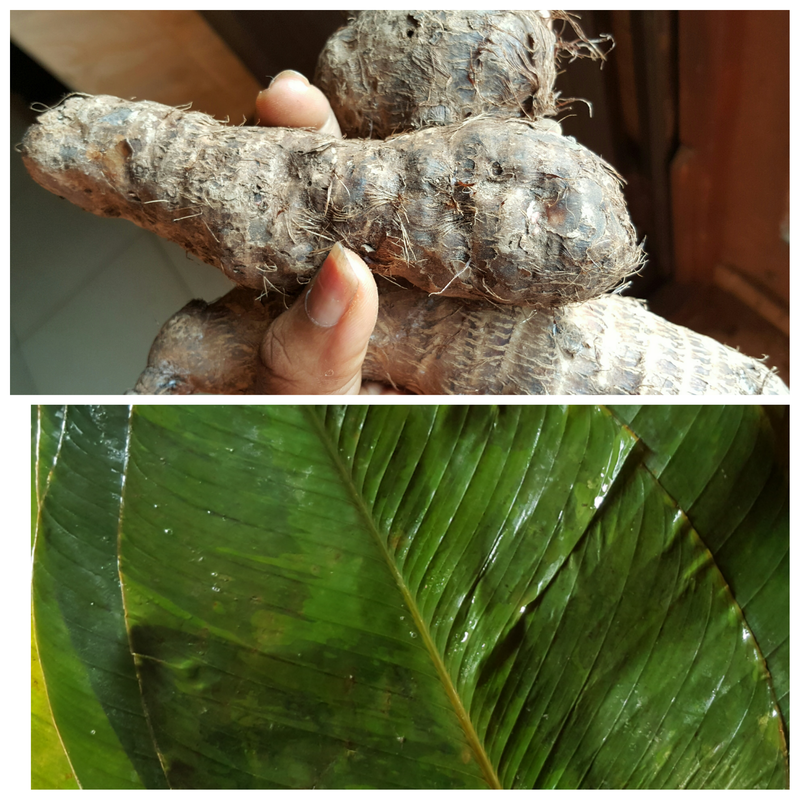 I’ve been meaning to try my hands on making Ebiripo, so I reach out to a friend Funmilayo Ademoye and she showed me how incredibly easy it was to make. It’s so easy. 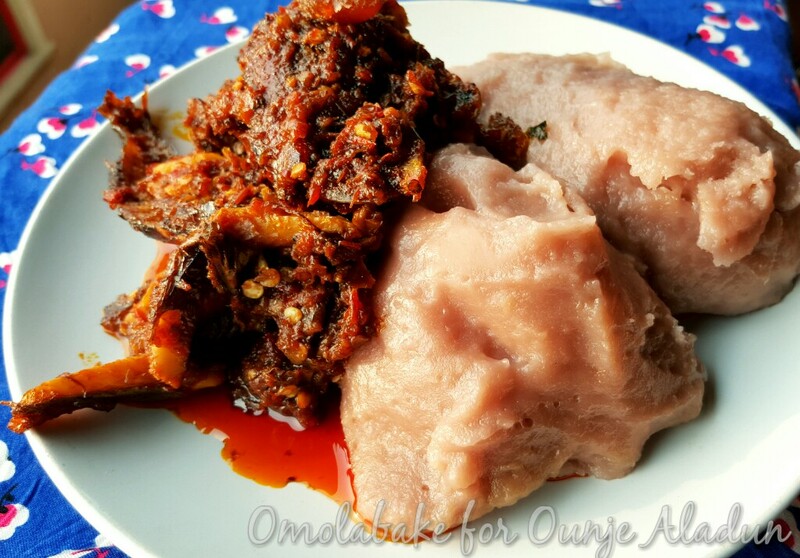 Typically Ebiripo is eaten with Egusi soup, or pepper sauce, but it is acceptable to eat it with any soup of your choice. I made mine with Smoked Fish Pepper Sauce and it was legit delicious! *I didn’t include the measurements as you can make work with whatever quantity works for you. Grate or blend into a paste. 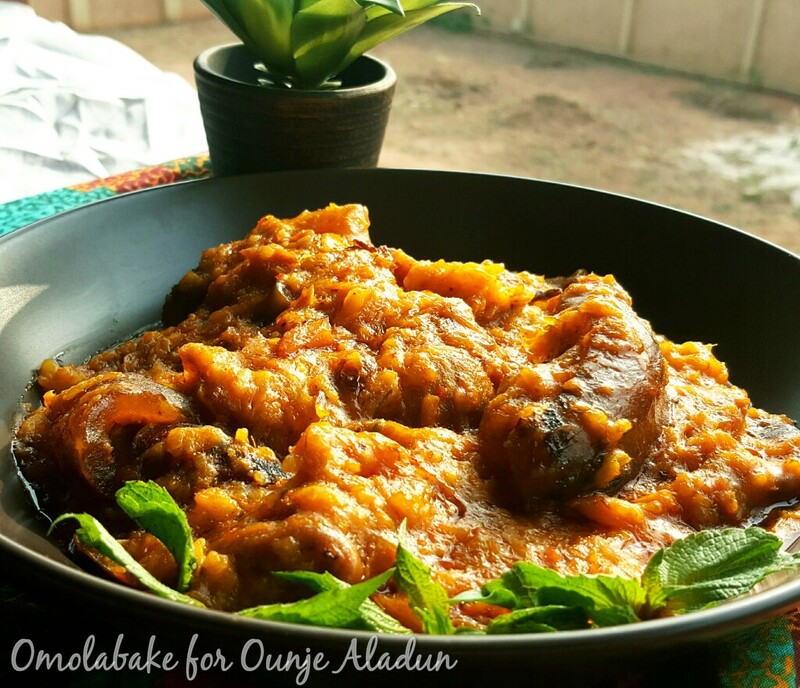 Place a pot on medium heat, if you have a steaming pot you can use it or place a barrier at the base of the pot, locally the stalks on the moinmoin leaves is placed inside the pot at the base before adding a little way. Serve with your soup of choice. 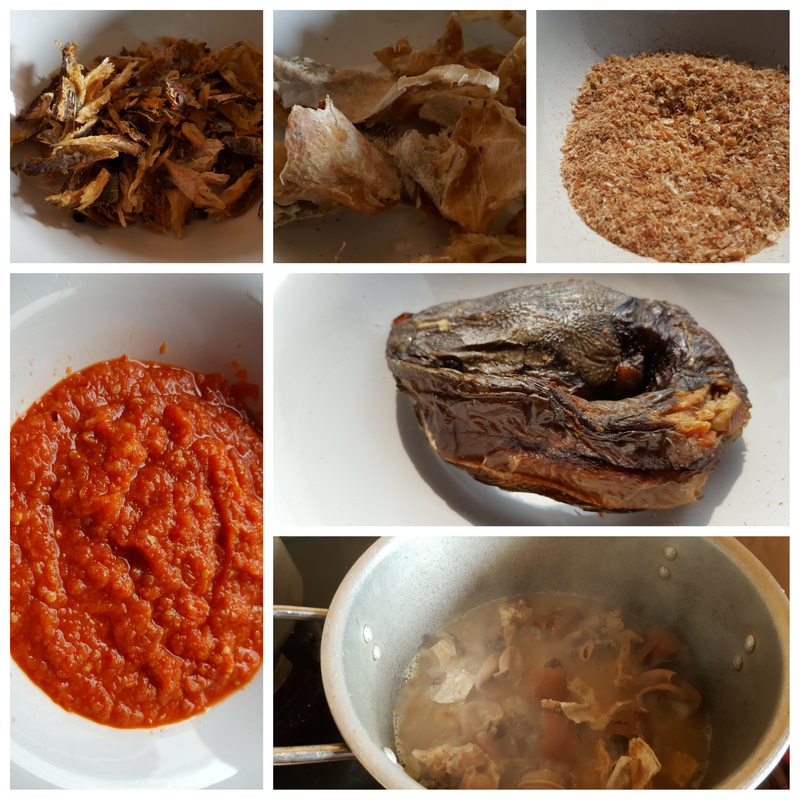 To make the pepper sauce, I used the recipe I use for making sauce for Ekuru.I only added Smoked Cod fish (panla), Smoked Tilapia (Bonga fish), powdered crayfish. I’ve been craving Ikokore for weeks but I’ve been unable to cook because I’ve been convalescent. Now that I’m back on my feet, I cooked the first thing I’ve been craving. 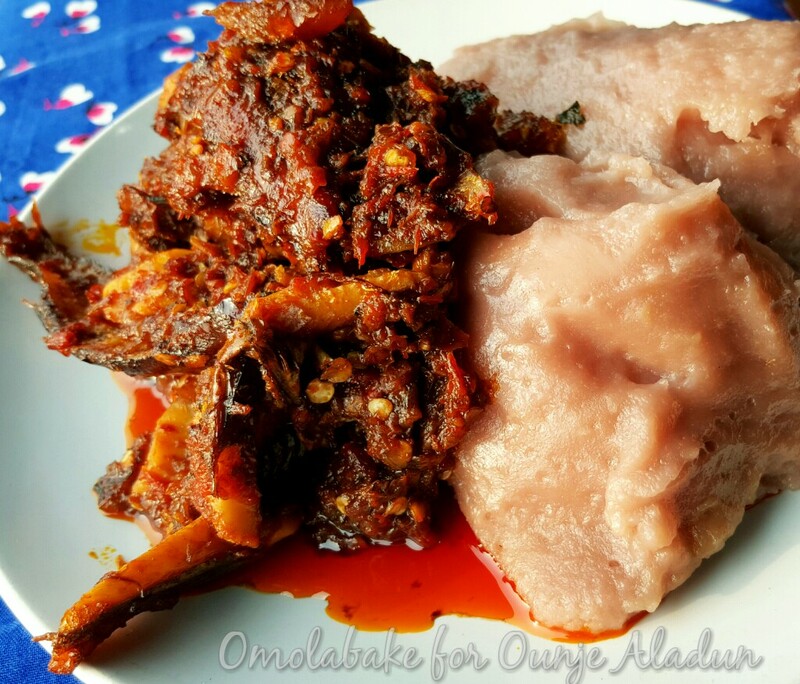 Ikokore Ijebu. I have a staff who is Ijebu, she ate it with left over Eba from the previous day. I’m yet to try that though. 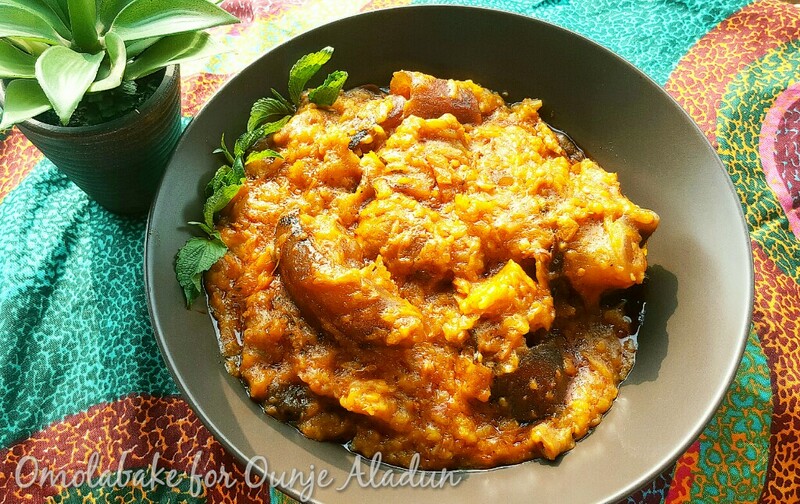 This Ikokore is “Ikokore elemi meje” (Ikokore with Seven Lives). A joke we crack when there is a lot of protein going on in a dish. 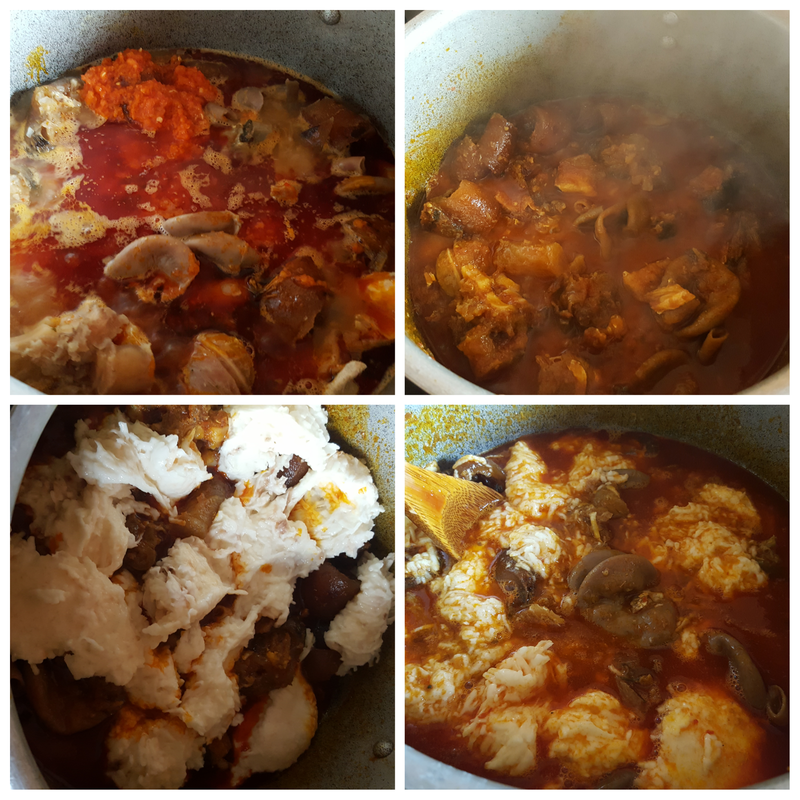 I only cook small portions of Ikokore because neither my husband nor my son eat it, I cook just enough to share with my Ijebu staff, my help, and any other person. I eat very small portions. Using the small grit of your grater, grate your slices of yam. If you have a food processor you can use the similar attachment on your processor to grate the yam. 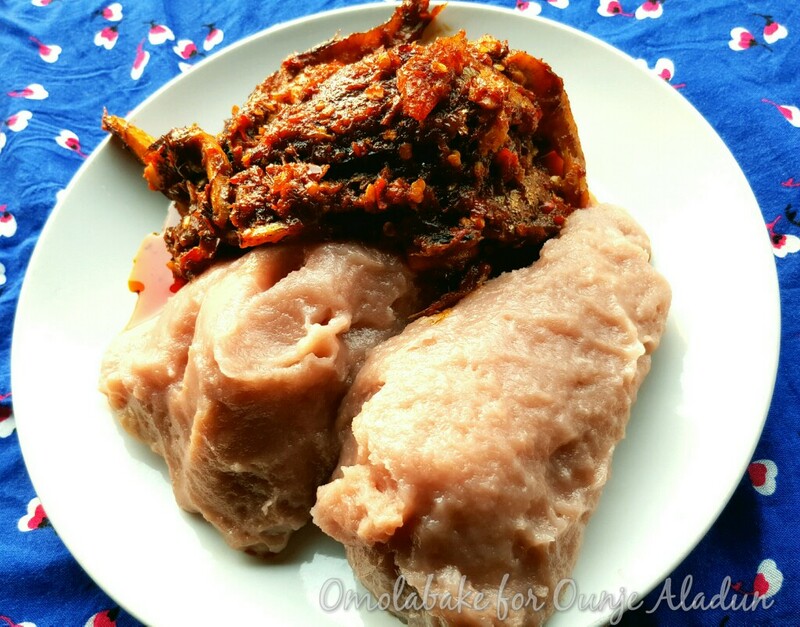 A tuber of water yam, slices of water yam, the grater used to grate the yams, grated yam. If you don’t have your stock ready, boil your meats, season with salt, seasoning cubes and one onion. Cook till done. Then add your pepper blend, and palm oil, allow it cook for ten minutes then add the all the fish and crayfish. If you had your stock ready, cook pepper first with palm oil, then add the stock, fish and meat. Taste for seasoning. 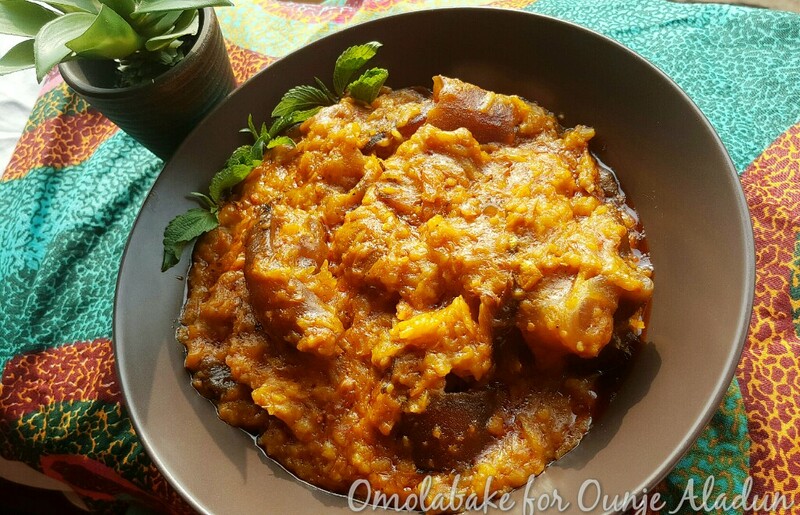 When all these are well incorporated, spoon the grated Wateryam in small portions into the broth. 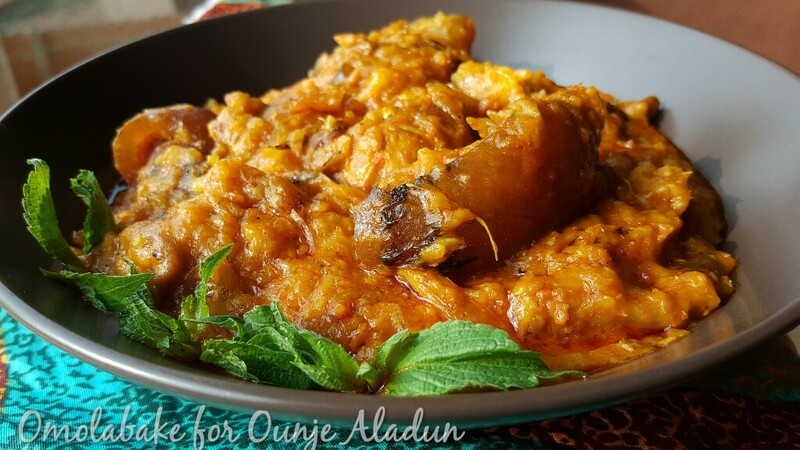 If the fluid is too little add some more water and allow it to cook till the yam is well cooked. Stir with a wooden spoon or ladle. 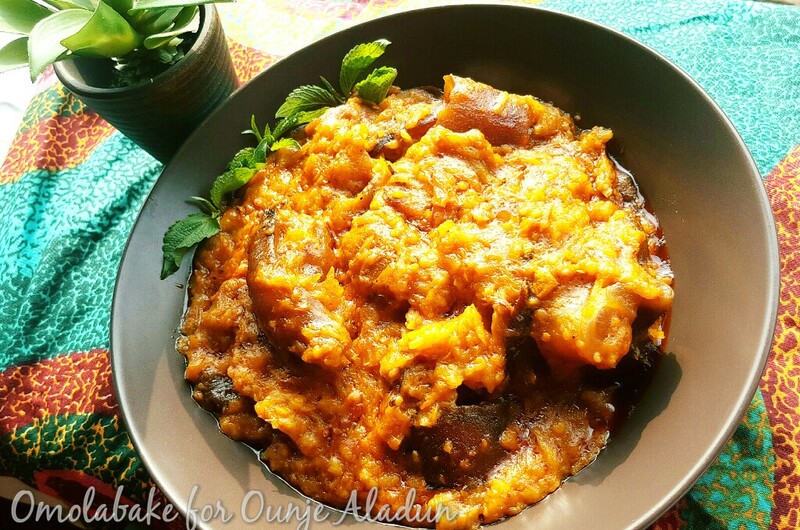 Your Ikokore should be ready within 10 minutes of adding the grated Wateryam and cooking on medium heat.